Don’t you just hate it when the stove fails to heat up when the table is already set? It happens to even the most top notch stoves. But then again, we are here for you all these times you might need stove repair San Diego services. You simply make a call to our team and a tech comes promptly out to diagnose and address the problem. Whenever you need a home appliance repair San Diego CA expert to fix the stove, just reach out to us to have your problem addressed in no time. It’s important to leave even a minor stove repair to an expert. Attempting to repair stoves yourself is neither safe nor good for the appliance. Instead of putting your safety at stake and risking damage inflicted on the kitchen appliance, prefer to turn to us. The service is affordable, offered quickly, and is performed by experienced techs with the skills and qualifications to fix any brand and all models. To have your stove fixed in a prompt and professional manner, all you need to do is to get in touch with San Diego Appliance Repair Central. With expertise in all types of stoves, the pros offer a trusted service every single time. We are at your disposal for repairs but also routine stove service in the entire San Diego community of California. Whether this is a gas or electric stove, it’s in your best interest to have it maintained occasionally and thus prevent problems that might happen over time. This service will spare you from the hassle of sudden troubles down the road and will keep the home appliance in mint condition for a longer time. But then again, we are here for the times you only deal with a minor problem and want it fixed before it deteriorates. Once again, all you need to do is call us. In order to prevent possible troubles that might result from an improper stove installation, call us if you buy a new appliance. Don’t forget that we are experienced with all kinds of stoves – from ranges to counter mount models. 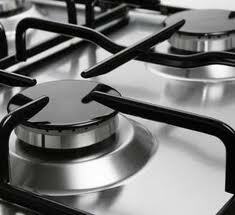 We send you a pro to install the electric or gas stove you buy and thus ensure its safe operation. Make an appointment today. Are you having some problems with the kitchen appliance now? Don’t let them grow. Call us now for stove repair in San Diego.